So Deep, So Very, Very Deep. Jamie Clarke's first foray with developing a retail font (Brim narrow) was a massive undertaking. We delved into the alignment and layering challenges of this complex polychromatic digital type system) in volume 04 of TYPOgraphJournal. Jamie is a lovely gent, passionate about his craft and the broader type community. He is juggling a busy freelance workload, managing one of type's best blogs, working on the new 8faces book, being a new dad and developing type. So you'd be forgiven for assuming with such a lot on that perhaps his second release might be less ambitious than Brim. Although, Jamie tackled an even more complex brief for his newly released Rig Shaded. As the name suggests Rig Shaded uses tonal variation to express depth and form. it is avaiable in a variety of weights (inlcuding inline styles) and Jamie cleverly conveys dimension with extrudes and halftone shading. Unlike a traditional halftone screen which would normally rely on circles Jamie's light and shade is built with squares to enhance preformance (A circle requires twelve data points to render, whereas a square requires only four.). The shade cleverly plays on positive and negative space enabling layering of styles (and colour). Available in both Coarse and Fine many areas of the shading were constructed square by square; The Fine grade shading suits large headlines (above 96pt) while the Coarse grade is designed for smaller titles (optimum at 48pt or larger). 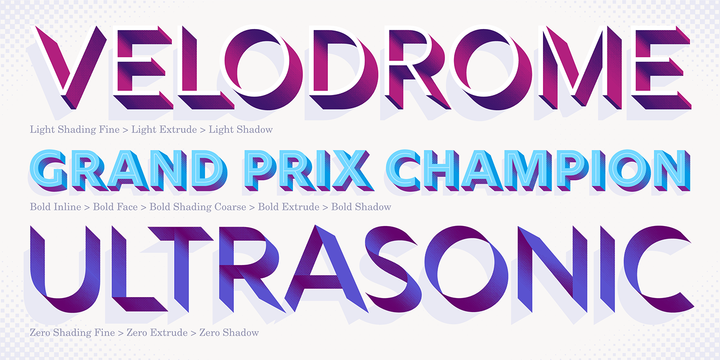 Depending on the color combinations chosen, Rig can produce subtle gradients through to strong graphic effects. It is also possible to layer the fine and coarse for added textural depth and visual interest. 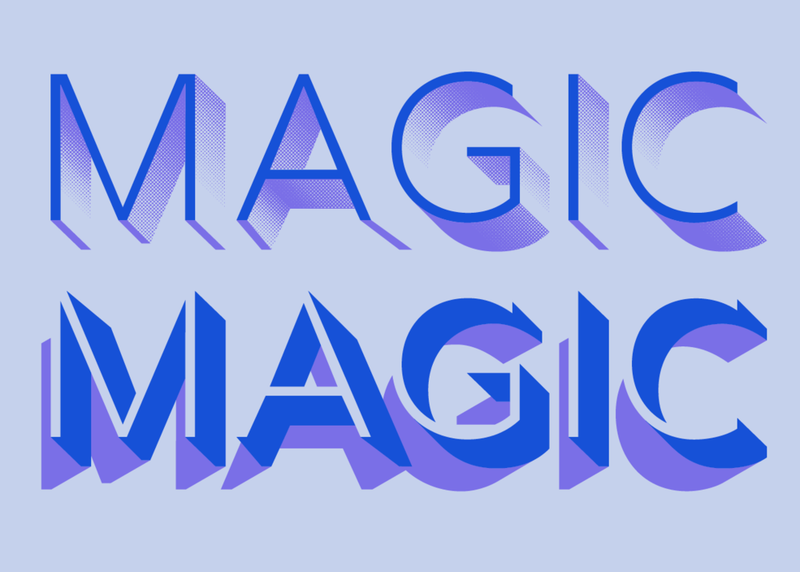 The halftone shading also made it possible to produce a unique ‘zero’ weight whose characters are described by their extruded facets alone. I had the great honour of doing some early testing on Rig and the zero weights really interested me - I can see so many exciting applications and treatments that are possible with these styles! "Rig developed from my quest to find ideal letter shapes for a shaded typeface while retaining their geometric principles and legibility." Jamie's construction is fastidious, all characters have been designed to maintain clarity when combined with 3D effects. All terminals are at 90º or 45º with open counters and optically altered shapes. Characters with a higher proportion of horizontal strokes, such as E and Z, can appear dark due to the greater amount of shading on their undersides. To correct this, the shading was adjusted to lighten all undersides and darken uprights maintaining an optically equal colouring. Rig Shaded is sure to be a hit with designers looking for depth (and drama)! Rig commands attention, it's forms are clearly legible, well constructed and deep, so very very deep. Layering Rig's styles gives the designer flexibility, and control it is a delight to use. Rig is bloody-minded brilliance. Jamie work is exciting and astounding. I am sure he deserves a well deserved rest after such a big undertaking but I cant help but say I am on the edge of my seat to see what he comes up with next! Rig’s character set includes 230 glyphs, supporting 198 languages, including all Western, Central and South Eastern European languages. 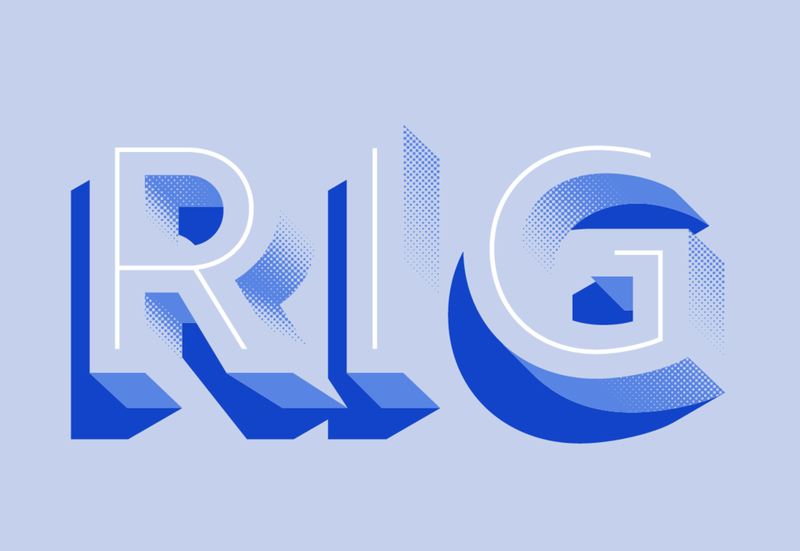 You can buy individual weight packs of Rig Shaded or the entire family for a discounted cost (20 fonts for $80! ).